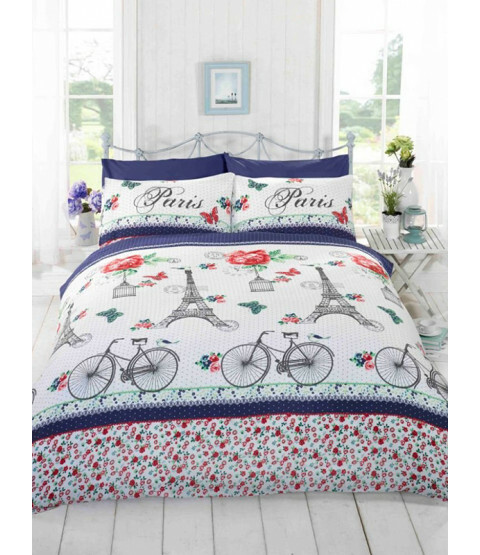 This stunning C'est La Vie Paris single duvet cover set will add a stylish finishing touch to any bedroom. 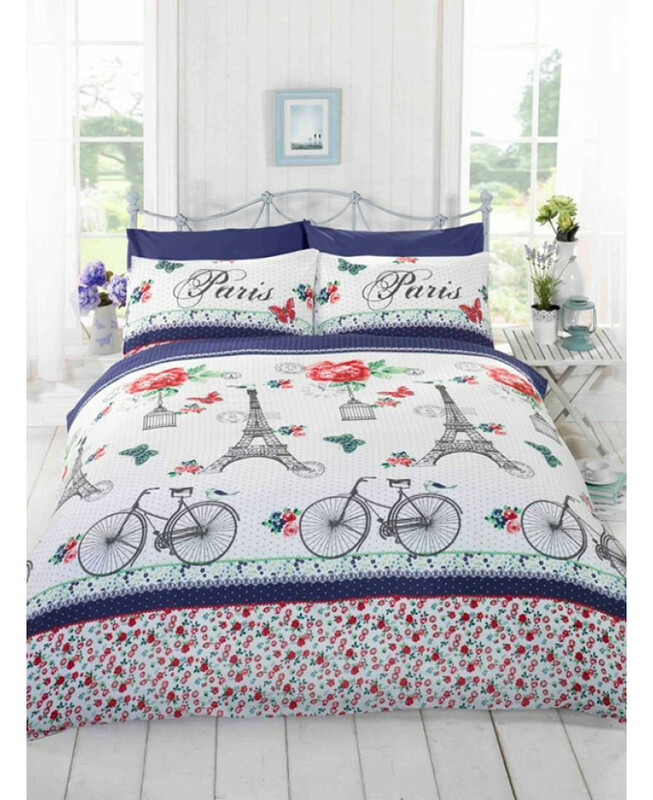 The duvet cover features a beautiful illustrated style Parisienne theme that includes the Eiffel Tower, bicycles and birdcages in tones of dark blue, red and green on a pretty polka dot and floral patterned background. Made from a polycotton blend, this bedding set can be machine washed and tumble dried on a cool setting.